We take pride in our craft with a combined experience over 10 years. Our services are Honest, Professional and Prompt. We specialize in fixing septic systems that other companies are unable to. Our motto is "If it can be fixed we can do it. No job too big or too small"! We work on new or old; Conventional, LPD and Aerobic systems. Our service area is within 60 miles of the Capital including these counties: Travis, Hays, Williamson, Bastrop and others by them. Call us today! 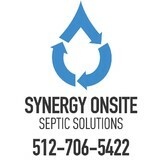 We are a septic repair company based out of Cedar Park/Leander and cover Central Texas. 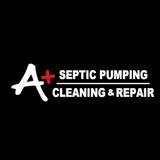 Specializing in all types of septic systems and their issues. No matter if it is Conventional, LPD or Aerobic, we do it all. Call us today! We are your source for residential and commercial Septic Tank Vacuum Pumping, Septic Tank Risers, Industrial – Non Hazardous Pumping, Car Wash Pit Cleaning and Vacuum Pumping and Lift Station Vacuum Pumping. We serve Austin and all of Central Texas. Discounts for vets and seniors. Available 24/7. Weidner Septic has your residential or commercial septic system maintenance needs covered with prompt and expert care when you need it. 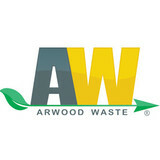 Rest assured that you'll be quoted an AFFORDABLE rate for your service. The minimal cost and effort that goes into maintaining your system can save you a total of $2,000 to $10,000. Maintaining your tank is also great for your community and family. Inadequately treated wastewater can pose significant health risks and also decline the property values in your neighborhood. Your system has two main components: a septic tank where solid waste is stored, and an absorption area where wastewater is treated effectively. Your bathroom, kitchen, and laundry waste drains through a large house-sewer pipe and into your tank, where it separates into three layers. Please feel free to ask us any questions about system maintenance! 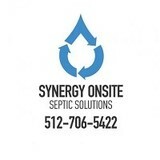 Septic system and waste water professionals. Specialists in electrical pump replacement and Aerobic Treatment plant maintenance and installation. Commercial and residential. 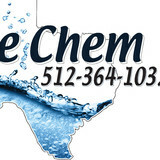 Providing Central Texas.s premiere septic and vacuums pumping services. The best trained technicians and the most knowledgeable office staff sind 1987. When it comes to septic tanks and systems, it’s pretty much never a DIY situation. A malfunctioning septic system can contaminate Jonestown drinking water supplies and cause flooding, as well as create sewage backup and biohazardous situations. If you need a septic system installed, pumped or repaired, hiring a certified Jonestown, TX septic professional is a no-brainer.